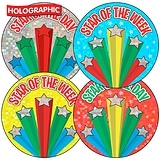 Reward your stars of the day or week with these shiny and sparkly holographic stickers. 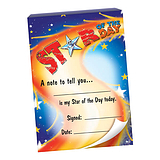 Great for your pupil's jumpers, books or reward cards. 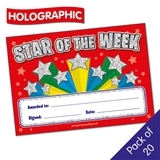 Printed on holographic sticker paper which will reflect the light and create bright and varied colours.